In March of 1959, a young graduate of Marquette University and former member of the Special Forces Airborne division made his way to the small western town of Reno, Nevada. When he got to Reno, Ed McCaffery purchased the original Walton’s funeral home, located at the corner of Second and Vine Streets, and a Nevada legend was born. In the last five decades, Walton’s Funerals and Cremations has grown into one of the largest family-owned funeral home businesses in the nation, with six locations in the Reno-Tahoe area, as well as one in Susanville, California. 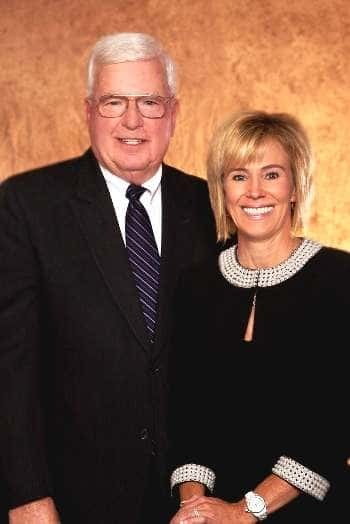 In 1986, Ed’s daughter Tammy Dermody used her education to join the family business and help her father grow Walton’s into what it is today. A Reno native and Bishop Manogue graduate, Tammy attended Santa Clara University and promptly came back home once she graduated. A mom first and a businesswoman second, Tammy has carried on her father’s unwavering support for education in Northern Nevada by volunteering weekly at Bishop Manogue High School. Tammy also provides scholarships to Bishop Manogue High School every year. Tammy shares her father’s passion for community involvement outside of the classroom. She sits on the advisory board of CASA and The Solace Tree, a local organization that helps children and teens deal with grief. She also sits on the boards for The Children’s Cabinet, Catholic Charities of Northern Nevada, and Casa de Vida. Ed MCaffery, the patriarch of Walton’s, passed away January 28, 2018, but his legacy still lives on!